Imagine that you are sitting in heavy traffic on the right bank of River Dnipro in Kyiv and you realize that you are unlikely to be able to reach the Boryspil airport by car in time. You pick up your luggage, go to the Central Railway Station, buy a train ticket for UAH 120, and you are at the airport within 35 minutes. Alternatively, imagine that you are a resident of one of the regions of Ukraine traveling to Kyiv by train with the aim of flying from the Boryspil airport to a holiday destination. A 30-minute trip to the airport after a night on the train would make your journey significantly easier. "The government has backed construction of a high-speed rail link with the Boryspil airport. We have a real technical solution that we are capable of implementing before the end of the year," Prime Minister Volodymyr Groysman wrote in his Twitter account on February 16. Construction of the railway line between Kyiv and the Boryspil airport should begin no later than June 1 and its construction should be completed in December 2018. “The time is short but realistic…,” the acting board chairman of the Ukrainian Railways public joint-stock company (Ukrzaliznytsia), Yevhen Kravtsov, wrote on his Facebook page. 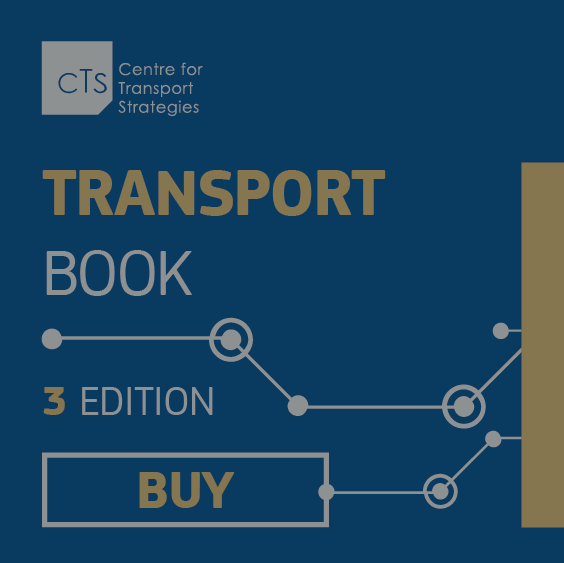 It will be possible to travel from the Central Train Station to the airport or in the opposite direction in 35 minutes. The announced ticket price is UAH 80-120. Ukrzaliznytsia will spend UAH 800 million of its own funds on implementation of the project. The cost of the project is expected to be recouped in 10.5 years. "According to the preliminary construction project, the railway line will be built from the Kyiv-Passenger train station to the Boryspil airport’s Terminal D via the Vydubychi and Darnytsia train stations. To implement this project, it will be necessary to build an overpass connecting to the existing railway infrastructure, four kilometers of rail tracks, and a railway platform near the terminal," Ukrzaliznytsia said. Ukrzaliznytsia plans to use 13 Pesa trains. According to Ukrzaliznytsia, the trains will be readied for operation within six months. These are all the Pesa trains currently on the books of Ukrzaliznytsia. Nine of them are operational and four require restoration. The passenger traffic on the new railway line is expected to be more than 2.67 million or 35% of the total passenger traffic in this direction after the trains are launched into operation. This is expected to generate more than UAH 300 million in annual revenues. According to transportation expert Oleksandr Kava, the amount of funds and the timeframe for implementation of the project are realistic, although the project makes no sense because there will be no passenger traffic. "There is currently no problem with transport links between Kyiv and the Boryspil airport. This railway line will give a temporary advantage to only a small number of passengers. For example, this railway line will be inconvenient for residents of the left bank of River Dnipro, apart from those living within walking distance of the Darnytsia train station. For many residents of the right bank of the river, it will take longer to get to the Central Train Station than it will take to travel to the airport itself," he said. In addition, the level of traffic intensity on the existing Kyiv-Darnytsia-Boryspil-Poltava line is high, which means that intervals between express trains will be large, which will create additional inconvenience for passengers, the expert said. Deputy Minister of Infrastructure Viktor Dovhan has drawn attention to one more issue: allocation of land for implementation of the project could be difficult. "The land is registered to the Air Express state enterprise and not Ukrzaliznytsia," he said. 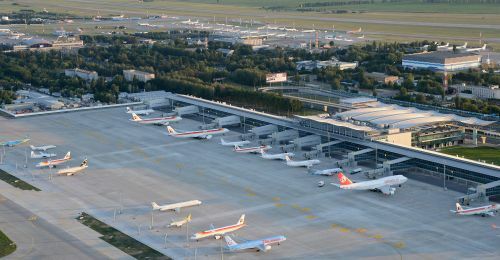 The Boryspil airport and Kyiv are currently linked by road. 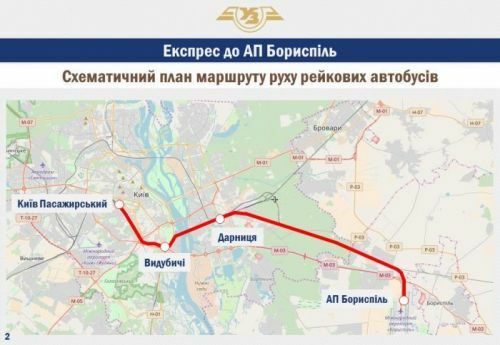 "However, we understand clearly that the problem of a rail link will become very acute when the passenger traffic through the Boryspil airport reaches 12-15 million. It is necessary to begin preparing for this now because, according to our forecasts, we will reach this volume of passenger traffic in a couple of years. We will need an alternative to the Sky Bus and private vehicles because the capacity of roads is limited, which means terrible traffic jams await us," the Boryspil airport’s head Pavlo Riabikin said. According to Kava, such projects are implemented when passenger traffic through an airport exceeds 15 million. For example, a railway line to the Toronto airport was built when the airport’s passenger traffic exceeded 37 million. Even then, according to him, the Canadian had serious problems and they were forced to halve fares in order to increase the load factor. "Warsaw once built such an express railway with money from the European Union, but it is used by only 1.5% of airport passengers while we are expecting 50% passengers immediately. Regarding our northeastern neighbor, to which we often look during such projects, their Aero Express worked well only in Moscow. There is no demand for it in Kazan, Vladivostok, and Sochi," Kava said. An attempt to establish a rail link between Kyiv and the Boryspil airport was made in 2013, when the Air Express project was conceived and a Chinese loan of USD 370 million was obtained. The project has changed more than once in the five years since then. The project initially provided for launch of a high-speed train, but it was found that it would interfere in the operation of the airport's air navigation equipment. The option of an underground tunnel was considered later, but it is significantly more expensive than a railway line. Deputy Minister of Infrastructure Viktor Dovhan announced in December 2017 that the project was likely to be shut down. In the comments to the CFTS portal, Dovhan said that the final decision had already been made. "Let me remind you that the total amount of the loan that China provided for the Air Express project is USD 372 million. The loan will now be returned to China together with the 4.5% interest on it. We have officially informed the Chinese about the shutdown of the project. The state budget’s losses amount to USD 50 million, including the USD 20 million that was stolen by the previous management of the Air Express State Enterprise," Dovhan said. On the latest decision to build a railway line to Boryspil and launch rail buses on it, he said, "This is great news! It is very important to have a rail link between the capital city and the country’s main airport."